SoftPlanet makes it possible for everyone to get free Melody Assistant download directly from our servers. There is no registration needed for downloading. 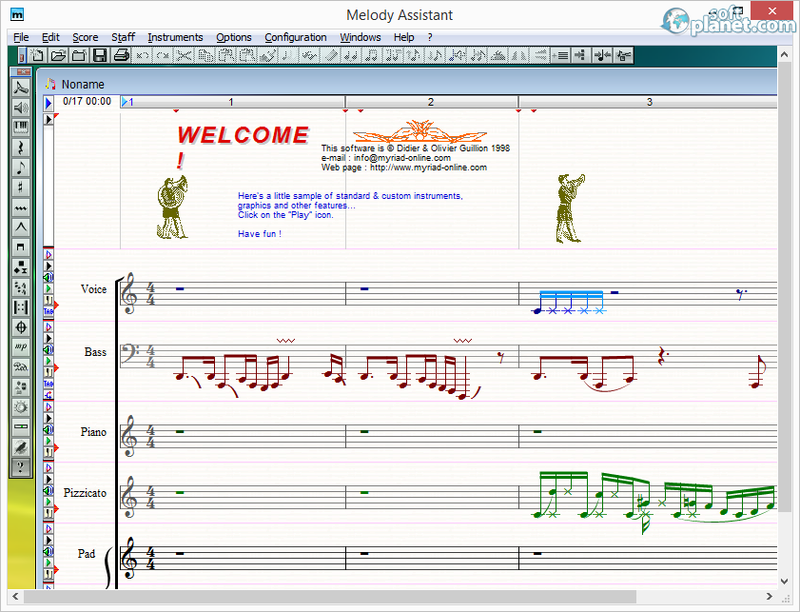 Melody Assistant is a program, dedicated to the musicians. It can be downloaded and tested for free. Those of you, who speaks English, German, Italian, French, Spanish, Portuguese, Dutch or Japanese language can set it to their native language. 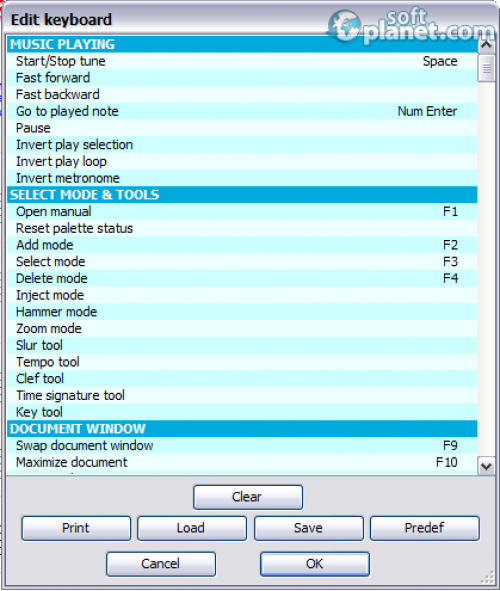 With this application you can write print and render music. Wide range of music symbols, tabulators and Gregorian notation can be used to create your master piece. Melody Assistant is compatible with Windows, MacOS and Linux. You can install it on any 32 or 64 bit PC with Windows XP, Vista 7 or 8. Even earlier versions of Windows are supported if any of you still have them by chance. It supports the following file formats: MIDI, WAV, AIFF, MP3, OGG, TAB and ABC. The latest version has a lot of changes, improvements and bug fixes to be listed here, but you can see them all at the developers website. The interface of the program is not very well designed. The working area has relatively giant view, compared to the program icons. Those outside the score area are kind of OK in terms of size, but the once inside are hard to see and click, even from a very skillful person. There are lots of shortcuts, which can be used as they are or customized. The menus on the top are full with all the features and options you might need. The entire program interface can be changed to the taste of whoever user. To change the program interface to a new view, go to the Configuration menu and select global Setup. There under the Themes tab choose the desired one. From the Interface tab you can change the Palette, Menu, Alert transparency and transition speed. Using the Screen, Play, Load, Save and Print tabs customize yourself the entire program. Melody Assistant is a product with two faces. From one side you can do anything with it, in order to get your job done. From the other, it is too simplified and without a way to speed up the work. All this, combined with the not so good interface, may decline many users to use it. For those of you, who do not like it, Finale Notepad Plus is a nice alternative to try. Our security scan shows that Melody Assistant is clean from viruses. The current version of Melody Assistant has been scanned by our system, which contains 46 different anti-virus algorithms. That ensures that Melody Assistant 7.6.3f is 100% safe for your computer.